Thirty young acrobats and musicians take us on an electric journey to the …known? Packed to the rafters with circus, live music, visual projection and sound manipulation, come and see an extraordinary exploration of time, space, communication and clockwork. 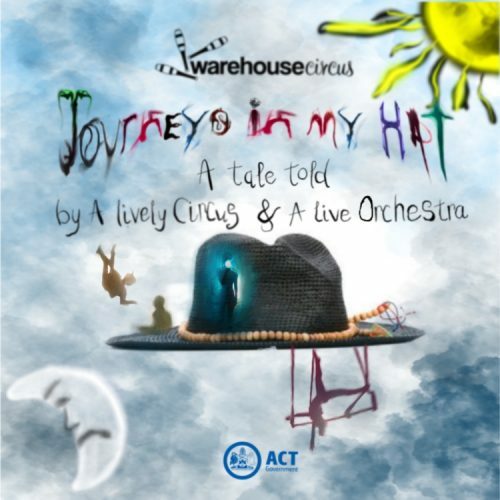 Featuring a beautiful original score by Leonard Weiss and DSine, Journeys in my Hat is a very ambitious new work made in partnership with selected musicians from Canberra Youth Orchestra and Warehouse Circus, and this premiere season is really not to be missed. Held at Belconnen Community Theatre.